(Food) Retailers, wouldn’t it be convenient if you could get rid of the whole checkout part of your store? Brands, wouldn’t you love it if you could see how your customers react when they pick up your products in store? Point-of-Sale software providers, wouldn’t you just hate it if your product became completely obsolete? Wow! No lines, no checkout…and no privacy. Amazon conveniently didn’t mention in the video that they will be using cameras to automatically track what you pick up. It is once again a case of customers trading off privacy for convenience, as we’ve seen many times over the past years. An automated system like this would make Point-of-Sale software providers completely obsolete in the long run… unless they create a better system like this themselves. The disruptors are getting disrupted! Supermarkets and other retailers would love it as the checkout process is THE bottleneck and it is challenging to manage their workforce to keep an optimal flow. If initial tests by Amazon prove successful, chances are they’ll start selling their solution to others in both food- and non-food retail. 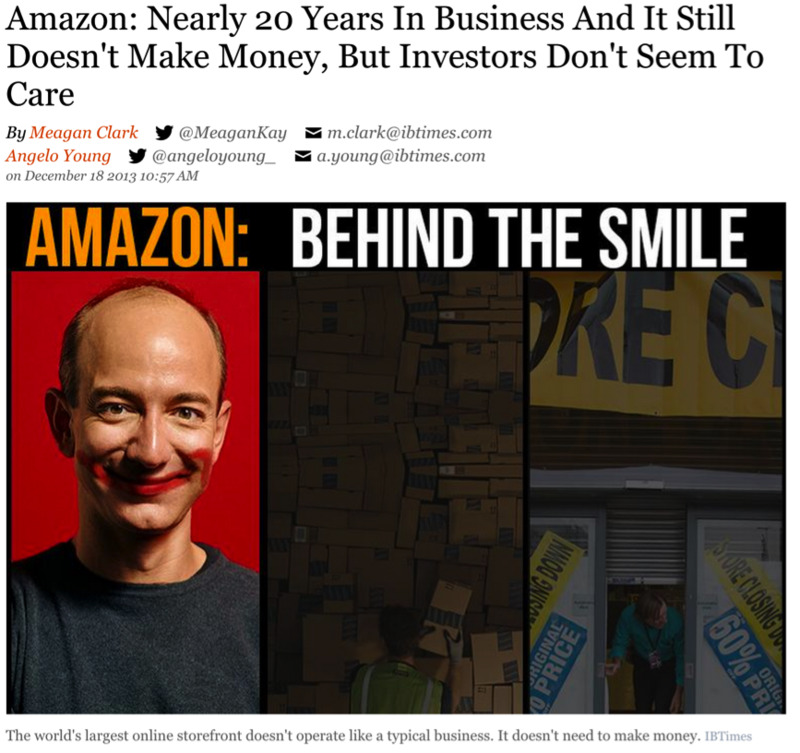 That’s not all though, if we’ve learnt one thing about Amazon over the past years, it’s that they like playing the long game. You may think that Amazon is launching this just to bring convenience to their customers. You may think they will try to overtake the physical channel with these smart supermarkets that can be super-optimized based on all the data. Amazon realises the cost and timeframe of that is huge though, and in the mean time there are a lot of short-term business opportunities. Amazon will likely begin registering customers’ facial expressions when they pick up products. They will then sell this data to the brands that make the products. Up until now it’s been impossible for brands to get indications of what consumers think of their products’ branding in their “natural habitat”. A tracking system like Amazon Go would enable a whole new level of analysis and accurate A/B testing for them. This is a gamechanger. We’re not saying this technology will take over the world within a year, but it will definitely have major implications if the trials are well received. How will you deal with this future? What’s your organization’s vision on the future and do you have a strategy to play a strong role in it? We can help you create a future vision, strategy and a concrete roadmap of steps you need to take to become future-proof.